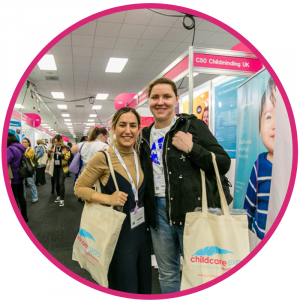 Childcare Expo London will host a broad range of inspirational features designed to equip you with an array of fresh and exciting ideas for you to take back to your setting. 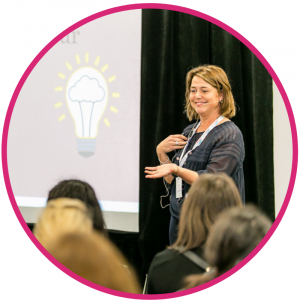 Childcare Expo London will host an impressive line up of thought leaders from across the sector. These inspiring sessions discuss the issues that will continue to affect your business in the coming year; ranging from language development to delivering outstanding EYFS. Get hands-on and join in with interactive workshops to get some innovative ideas to take back to your setting. Discover low or no cost activities that bring together education and play. These inspiring workshops are free for visitors to attend. 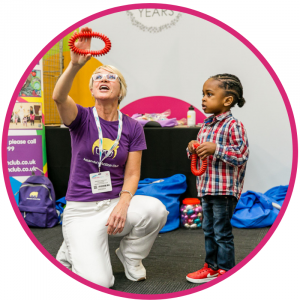 Childcare Expo Manchester has a variety of feature areas for you to be involved in during your visit! 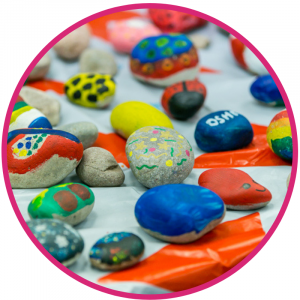 #ChildcareExpoRocks give you the chance to design your own beautiful rock to take away with you and either keep, take back to your setting or hide for someone else to find and brighten their day! We’re also bringing along our colouring wall, this offers visitors the chance to show off their artistic skills! Bring your selfie game to our ‘Snap & Share’ Zone – we have a variety of props for you to pose with in this feature area! Morton Michel’s ‘Your Business Café’ is returning to Childcare Expo Manchester. For the past ten Morton Michel has been the headline sponsor of Childcare Expo and at the upcoming Manchester show we are bringing the popular feature area back designed to support you, your business and your staff. On 20th and 21st March join our team of industry experts, chat over free coffee and ask for advice on anything from Employment HR, Staff Retention, Employee Benefits & any other business challenge you may be facing. 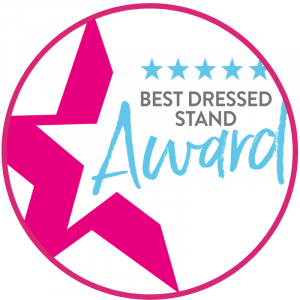 Childcare Expo London will be running a ‘Best Dressed Stand’ competition. Many of our exhibitors will take part fight tirelessly to encourage visitors to vote for their stand. All visitors who want to take part can vote and will be entered into a prize draw to win a prize donated by an exhibitor! Explore 1000s of products and services from dedicated early years suppliers within the vast shopping village! 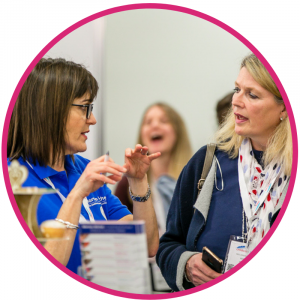 Our exhibitors are dedicated to bringing professionals working with the early years and primary education the most up to date products & services.